Grow your business with personalized magnetic rulers (available in both 20 & 30 mil) & measure your success! 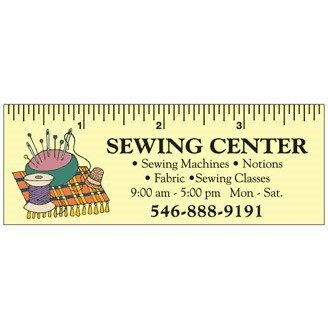 Great way to promote contractors, fabric stores, schools and more. Size : 1 1/2" x 4"